Drop'n Go by Duri is an advanced formula designed to dry and set nail polish to the touch in just seconds, while delivering a brilliant coat of bubble resisting gloss to nails. DROP'n GO improves the durability and wear-ability of nail polish and has been designed with volatile (quick-drying) silicones to protect nail polish from smudging and speed up the evaporation time of nail polish solvents. Features a convenient dropper cap for easy application. 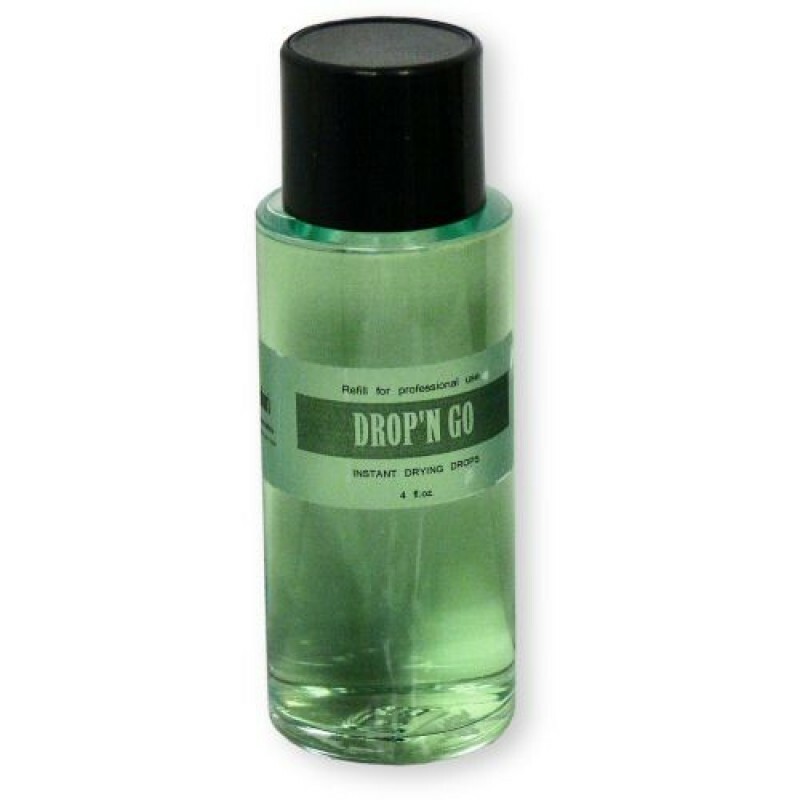 Just one or two drops of DROP'n GO as the finishing touch will keep both mani's and pedi's resilient.